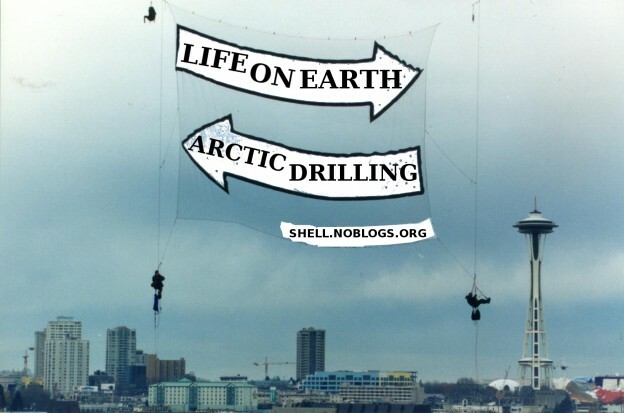 SHELL ABANDONS ARCTIC DRILLING…for the “forseeable future”! 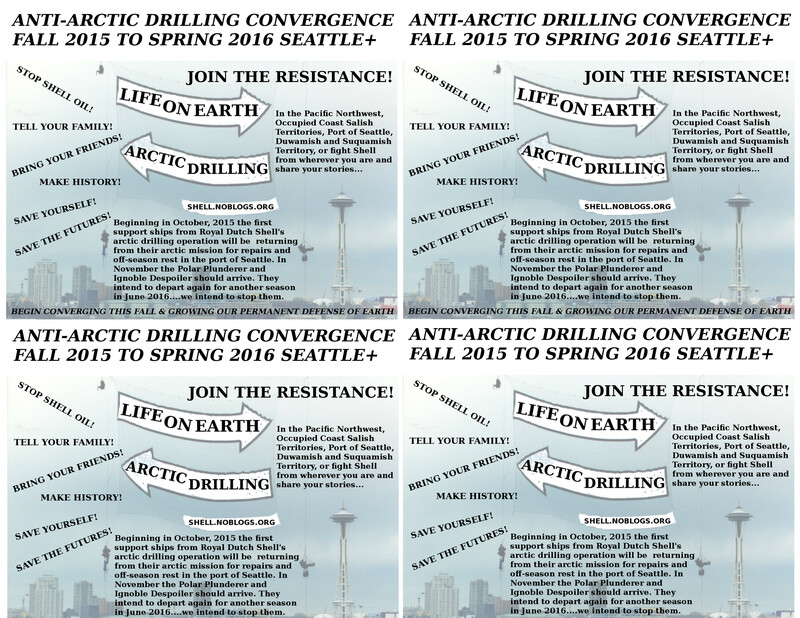 First flyers out for Fall 2015-Spring 2016 Anti-Arctic Drilling Convergence! FENNICA has ESCAPED PORTLAND! Click on its name to see where it is now. 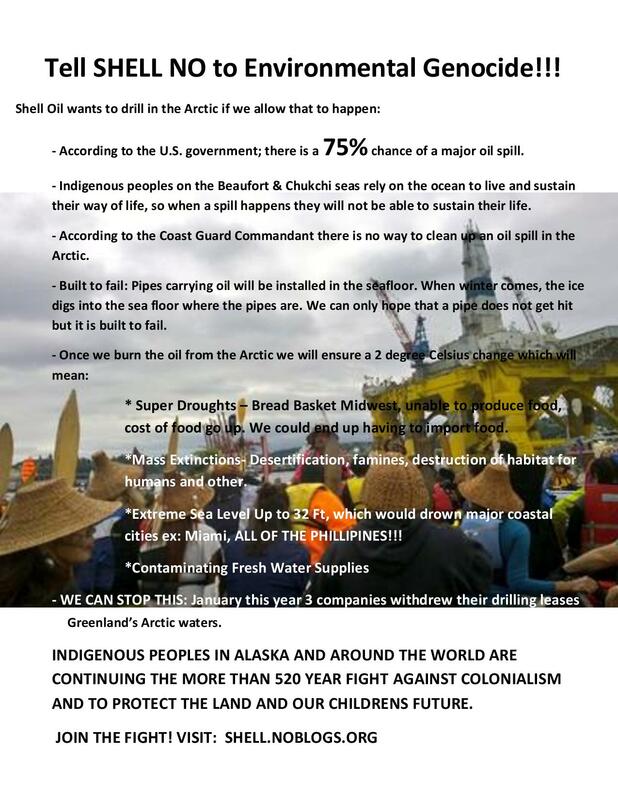 The FENNICA has escaped Portland and is returning to Alaska to assist thePOLAR PLUNDERER and the IGNOBLE DESPOILER in their mission to destroy the Arctic and kill us all. Climate change is of urgent concern because after we push past two degrees of warming we could hit positive feedback loops, systems that perpetuate themselves into unstoppable force and we will have hit runaway climate change where we will be unable to stop climate change. 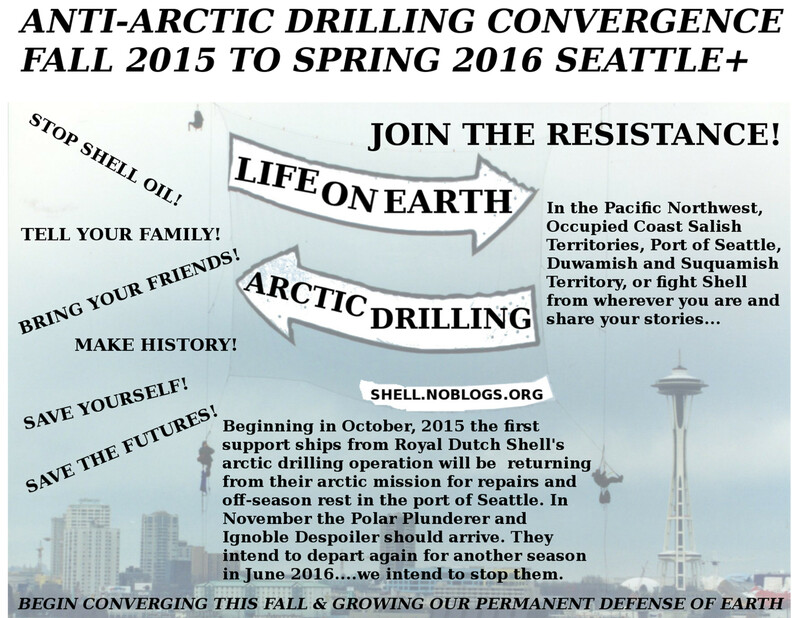 Drilling in the arctic will push us over that tipping point. This could be game over for us all.